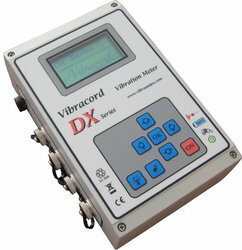 Prominent & Leading Wholesale Trader from New Delhi, we offer seismograph vibrock v9000, vibrosound analyser cm3, vibracord construction & mining vibration monitoring system, blast vibration monitoring system vibracord dx and vibracord tx ground vibration monitoring system. Model CM3 is the latest in the series of vibration and noise monitoring equipment, uniquely combining vibration monitoring with type 1 precision grade sound/ leq. 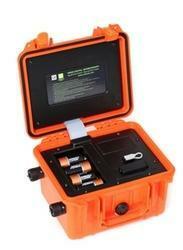 analysis in a light weight and easy to operate portable unit. 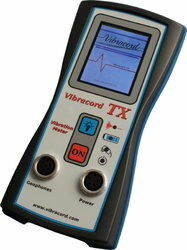 Site Compliance Monitoring CM3 available in Simultaneous (Vibration & Noise type 1 Leq.’s ) or Vibration / Noise only. Option to include Wind Speed and Direction. Designed to provide the user with a fast accurate and efficient method of ensuring compliance with product limits for both Noise and Vibration levels. Tabulation of results down to 5 minutes with direct exporting to excel of graphs and reports. All instruments meet or exceed the relevant standards including BS6472 & BS5228 (Noise), the unit also gives 5 Minute values to comply with BS41412 (Noise). Each unit also ensures compliance with the regulatory bodies project limits. 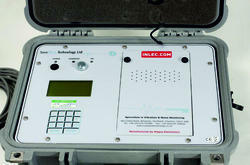 Looking for Seismograph & Ground Vibration Analyser ?